The Village Halls website is now part of this website. Go to the Village Halls Section for booking details. The East Boldre Airfield Remembers WW1 project is supported by the Heritage Lottery Fund. More details in our Local History section. East Boldre resident Louise Godden is a member of the British Hedgehog Preservation Society and registered with them as a carer. Hedgehogs will be getting ready to hibernate soon. They need to weigh 600g to survive hibernation. Putting cat or dog food out now, under a makeshift feeding station if you are worried about other diners, a few bricks with a roof slate on top or an upturned plastic crate with a 4 inch square door cut out, could save a hedgehogs life. Click here to see who are supporting hedgehogs in our area. Injured or sick hedgehogs need help. 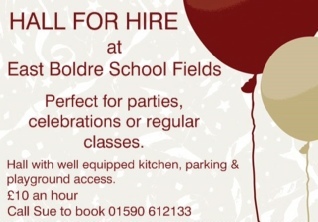 or call Louise on 07595709617. Decades of wind and rain have taken their toll on the war memorial plaque at East Boldre Village Hall. Recently, however, the missing letters have been replaced and, as soon as the weather is a little warmer, the lettering will be repainted by Sue Adams, a village hall volunteer. The lettering was restored by Allstone Stonemasons of Southampton who offered their services free of charge. Visit our Village Hall War Memorial page to find out more about the local soldiers who died in the two world wars. NFDC Cllr Paul Vickers is now a Trustee of the East Boldre Education Trust which has monies that could be granted to children who live in the parish and have educational needs or for very talented children. For contact details and meeting dates, click here. The East Boldre & Beaulieu Sports & Social Club building will be leased to the Swamp Rats Motorbike Club from 1st July 2012. Read more. The Beaulieu Letters, which date back to the New Forest Flying School at East Boldre, are being restored and the restoration will be featured in the BBC programme, ‘A Great British Story’. Never heard of them? Read all about it on our Local History Page. Too many drivers are speeding through the village. Read more. 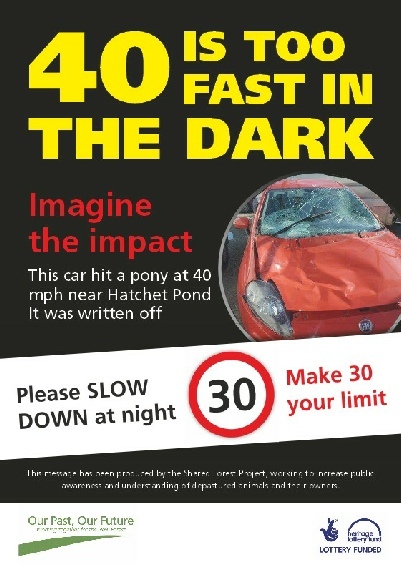 Join Community SpeedWatch and do something about it. Read more. Available Now for just £15. 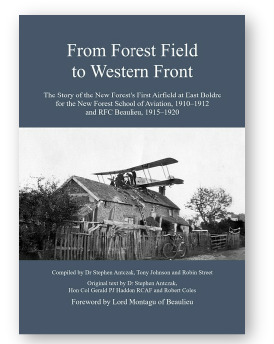 A New Book which tells the complete story of East Boldre Airfield 1910-1920. Click the image for more details. Click here for a list of local retailers or to have a copy delivered to you by courier. As most local residents know, after running the shop for fifteen years, Ian and his family are moving on and the future of the current shop and Post Office is uncertain. The Community Hub Project seeks to remedy this by developing the village hall into a community hub which will include a community shop. 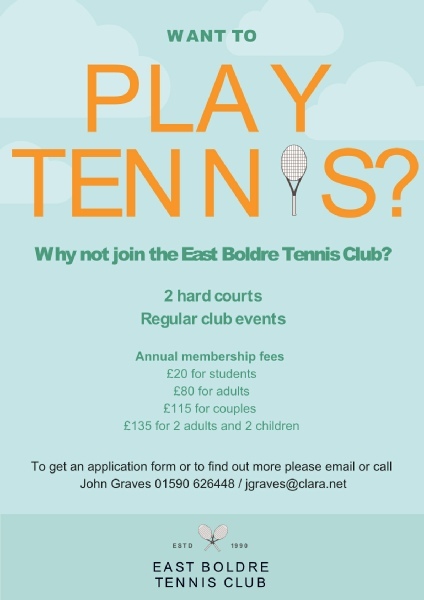 East Boldre has an active Tennis Club. New members are always welcome. 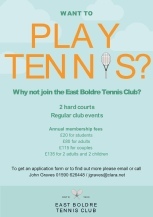 Now the evenings are getting longer, why not play tennis with your family and friends, and get some exercise. Click the image for more details. Click here for full details and a membership application form. If interested please contact us for more details: Jay Devonshire - 07768156513 or use our contact page. East Boldre and Beyond is a local newsletter delivered by e-mail. Find out what’s on in the village and get up to the minute Neighbourhood Watch alerts. You can read the latest newsletter and subscribe to the newsletter by clicking here. is FAB, FUNKY & FAT BURNING. A complete exercise programme on a mini trampoline, with a safety bar, choreographed to chart topping inspiring music. Includes an extremely effective cardio session, and a really powerful bums, tums and thighs section tool. Every muscle in our body is worked! EVEN THE FACIAL MUSCLES! Suitable for ALL fitness levels, ALL ages, shapes & sizes. Our trampolines hold up to 25 stone. This web site serves the village of East Boldre, the adjoining hamlet of East End and neighbouring villages. These picturesque villages are situated between Beaulieu and Lymington in the New Forest National Park. Off the beaten track, these quiet country lanes are ideal for cyclists and the open heathland vistas offer myriad trails for hikers to follow. In East Boldre and East End we have: Two pubs, two churches with halls, two village halls, a shop and post office, garage services, a football club and a pitch, tennis courts and a playground. 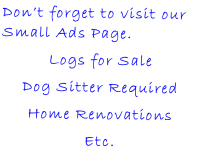 This website hosts pages for local businesses, clubs and societies. 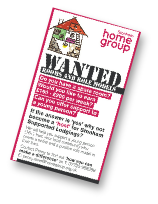 Stonham Home Group Supported Lodgings are looking for homes and role-models for young people between 18-25 who are in need of hosts for supported housing. You can earn between £160 and £200 per week. Click here for more details. Glyn Gower is running a first aid course at the village hall. The current course is fully booked but if you are interested to learn some first aid, please contact us and we will try to arrange further courses. Come and join me as we work our way through traditional yoga postures, working with the breath to aid flexibility, strength, bringing peace and clarity of mind. For the latest Neighbourhood watch information read the East Boldre and Beyond Newsletter here. Go to our Neighbourhood Watch page. 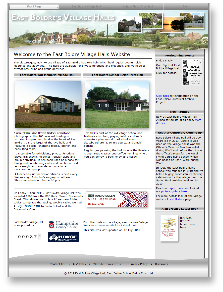 East Boldre Parish Council now have their own website. Parish Council meetings are normally held at 7:00 p.m. on the second Tuesday of every month at East Boldre Village Hall. For more details and to see the Agenda or Minutes for previous meetings, see the Parish Council website. There are currently no vacancies on the Parish Council. Click here if you are interested in becoming a Parish Councillor. The New Forest Association, is a members based charity formed in 1867 to protect and conserve the New Forest. Visit our website here and follow us on Twitter and Facebook. Read our Newsletters and Presentments here. Click Here to Read the New Quarterly National Park Newsletter. The New Forest National Park Authority website lists many events and courses taking place in the New Forest. For more information and to book a place on one of these events/courses click here. There are several opportunities for volunteers in the community. There are 46 Village Agents in rural communities all over Hampshire. If you are interested in learning new skills, taking part in your local community, and helping older people to remain independent then Age Concern Hampshire needs you to be the next Village Agent. If you have some time on your hands, why not join one of the New Forest Voluntary Car Schemes. They provide transport and other help to people who cannot easily get out and about. Read more. The Community Buddy scheme is being run throughout the Forest by Community First New Forest. Kill your speed, not an animal. Read more about this new scheme in our Neighbourhood Watch section. New Forest cyclists of all ages are urged to protect their bikes from thieves by security marking them and locking them securely when unattended. As an incentive to keep bikes secure, the Partnership is offering a gold standard D lock for just £16, available from New Forest District Council information offices. This is a much reduced price on similar quality products in the shops. For just £4 you can buy a neon yellow and silver cover that fits snugly over your backpack, protecting it from the weather and making you easily visible by other road users. 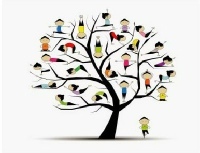 Yoga classes are held weekly at East Boldre School Fields Hall. Yoga 9:30 - 11:00 a.m.
Our WW1 Commemorations were a Huge Success! The New Rabbit-Proof Allotment Fence is now complete. More. Want an Allotment? Please contact the Parish Clerk. More details on our Allotments Page. 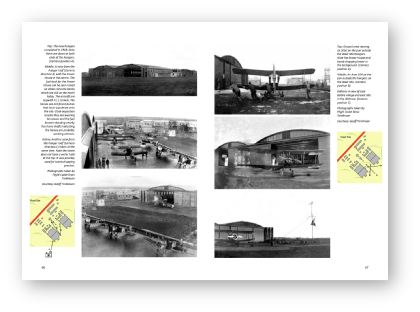 The tremendous success of the recent WW1 event has triggered a number of new and exciting projects for the village hall team including the publication of a book covering the history of the airfield and the formation of a historical society to further our research and set up a permanent archive. If you want to get involved with these projects, please use our Contact Page to get in touch. Household Glass Collections for East Boldre to Start January 2014. Glass bottles and jars can be recycled over and over again and play an important part in helping to reduce our use of natural resources, whilst also saving energy and money. The new service has been very well received in Totton, Ringwood and Fordingbridge. Boxes and information packs will be delivered to households in East Boldre during January, ready for collections to start in February. The boxes will be collected once every four weeks and can be used to recycle all glass bottles and jars. The Hampshire Bat Group (HBG) embarked on a survey of the bats in the New Forest in 2006. A particular focus for the project was to establish the distribution of two rare species; Bechstein's bat Myotis bechsteinii and barbastelle bat Barbastella barbastellus; about which very little was known at the time. The HBG are particularly keen to look for signs of some of these rare species in old timber framed barns and private woodlands which are not pony grazed. If you think you have bats roosting in your loft we would also like to hear from you. Read more about the HBG and bats in the New Forest here. Be sun aware - that’s the message from New Forest District Council as it launches a campaign to help reduce the number of people diagnosed with skin cancer in the New Forest. Read more. Keep a Message in a Bottle in your fridge. It might save your life. The Lions Club provides a FREE Message in a Bottle scheme. It is a simple idea designed to encourage you to keep your personal and medical details on a standard form and in a common location - the fridge. Get your FREE bottle here. The new TaxiShare scheme runs between East Boldre and Hythe Ferry, and starts on Tuesday 13 December 2011. You must phone ahead and book your ride. More details here. Parents and carers are urged to get the facts about legal highs and talk to their teenagers about drug use. Just because a substance is sold as 'legal', doesn't mean that it's safe. Read more. New Forest residents are urged to be wary of workmen calling at their homes offering to resurface their driveways at a cut price. Read More. At this time of year, everything in the garden should be rosy - but beware of shed burglars. After a recent spate of things being stolen from sheds in the Hythe area, the Safer New Forest Partnership is urging residents to take extra steps to protect garden and allotment sheds, outdoor stores and garages from intruders. Note: The NFDC no longer supply sandbags. More details here. For a list of the latest scams to watch out for and to download the Trading Standards Scam Bulletins go to Trading Standards Scams Page. New scam information added to our ScamBuster Page July 2014. Women and men from all walks of life suffer domestic violence, both physical and emotional. Victims often feel afraid to seek help and change their lives for the better. For more information about the support currently available to domestic abuse victims, call National Domestic Violence Victim Support on 0845 303 0900 or visit the national domestic violence helpline.org.uk (for women); the Men's Advice Line on 0808 801 0327 or visit the mens advice line.org.uk. Other support agencies include the police, who are open 24 hours and available on 101 or 999 in an emergency; Citizen's Advice on 08444 111444 and the Samaritans on 08457 90 90 90. New Forest cafes, restaurants, hotels and pubs are proudly displaying a 'badge of honour' this summer to encourage more people to come dine with them. Food hygiene ratings are available for 1100 hospitality businesses in the New Forest to reassure customers that they can enjoy their meals with peace of mind. Environmental health officers from New Forest District Council inspect the cleanliness and safety of all food businesses in the district under the national Food Hygiene Rating Scheme. The hygiene standards found at these inspections are rated on a scale ranging from zero at the bottom (which means 'urgent improvement necessary') to a top rating of five ('very good'). While 5 is the highest rating, you can eat with confidence in establishments with a 3 rating. With 960 businesses in the New Forest rated as 3 or more, there is plenty of choice. Visitors and residents can view a business's food hygiene rating when choosing where to eat or shop by checking the food hygiene rating sticker in the window, the certificate on display inside the premises or by going online at food.gov.uk/ratings. A mobile app is also available to download from the Food Standards Agency. 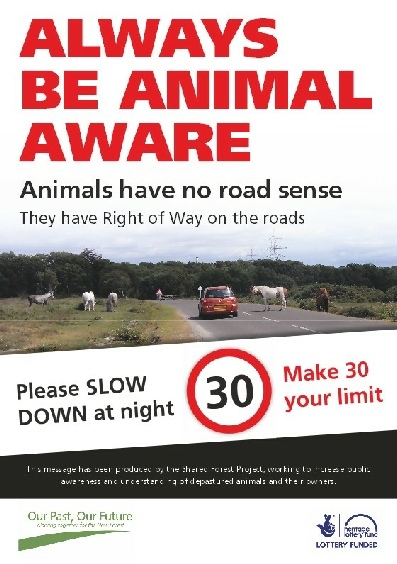 All cyclists in the New Forest are urged to follow the New Forest cycling code. You can read it on the New Forest National Park Authority website Cycling Page. Do you own an empty property and has it been empty for more than six months? Under the council's empty homes loan scheme, owners of suitable empty properties can apply to the council for a loan to repair or convert their property to a standard suitable for providing temporary accommodation for families in housing need. Have a look at DogLost.co.uk - The FREE National Database for Lost and Found Dogs. Links to other web sites are provided for your interest and for additional information. Contributors to this web site and the Parish Council do not necessarily endorse any of the activities or views expressed in these web sites. 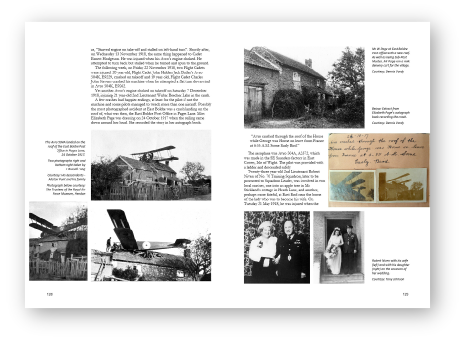 In 1910, the sleepy village of East Boldre was awestruck by the arrival of a fleet of flying machines and the New Forest School of Aviation - one of the first flying schools in the world. By 1915, the Royal Flying Corps arrived, the personnel soon outnumbering the villagers by three to one. They cleared the heathland, erected massive buildings, flew their machines into trees, knocked off chimney pots and even landed on the Post Office roof. 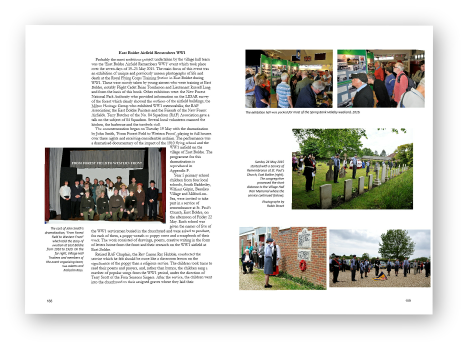 Following the exhibition in 2015 featuring many of the painstakingly restored photographs from WW1, the team at East Boldre Village Hall decided to produce a more permanent historical record to promote East Boldre's heritage. The photographs from the exhibition and the hundreds of others donated to the Hall are now featured in a book which will be available after Monday 15 August 2016. With nearly 500 images in colour and black & white, this 253 page, A4-size book is available now. A perfect coffee table book. All profits will be used to support East Boldre Village Hall, originally the Officers' Mess and the only WW1 airfield building to survive. and from East Boldre Village Hall Committee members. Copies will be on sale at the East Boldre Post Office/Shop; The Hythe Herald Office, 2 High Street, Hythe; Pilley Post Office and Store; The New Forest Centre, Lyndhurst, Brockenhurst Post Office and The Turfcutters Arms. Check here for news of sales at special events and other outlets. * Some outlets may charge more to cover their card machine charges. Ease yourself into the week with a gentle Stretch and Tone class. Jumpstart your week with an energetic, fun-filled shake and shimmy class. FAB, FUNKY & FAT BURNING. A complete exercise programme on a mini trampoline, with a safety bar, choreographed to chart topping inspiring music. Includes an extremely effective cardio session, and a really powerful bums, tums and thighs section tool. Every muscle in our body is worked! EVEN THE FACIAL MUSCLES!